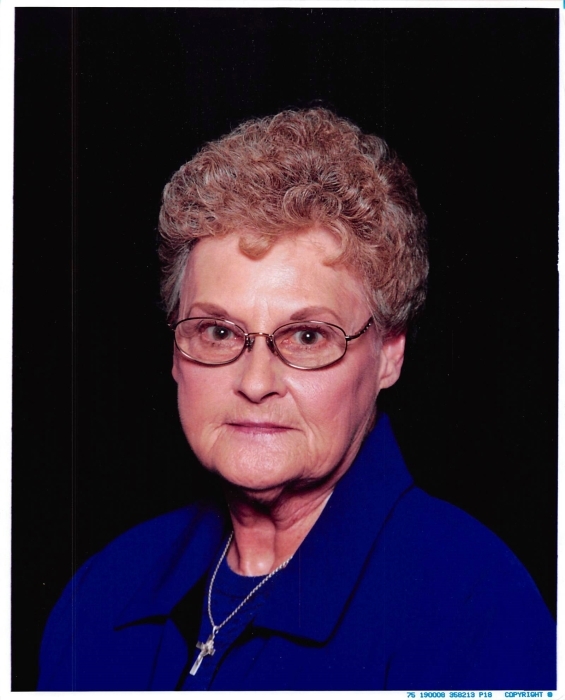 Carolyn F. Reed, age 81 of Covington, passed away Friday, March 22, 2019 at the Inpatient Unit of Ohio Hospice of Miami County, Troy. Carolyn was born in Bradford on February 2, 1938 to the (late) Ralph Webster & Freida (Satel) Wombold; graduate of Bradford High School, Class of 1957; retired with 30+ years of service from Copeland, Sidney; a member of the Red Hat Society; enjoyed going out to eat; and her passion in life was her sewing and crafting, which included painting, knitting and crocheting. Preceded in death by her parents; husband, William L. “Sonny” Reed Jr. in 1993; grandson, Juddie Thompson; sister, Shirley Wombold Hinkle; and brother, Freddie J. Wombold. Carolyn is survived by her son and daughter-in-law, Chris & Barbara Reed of Bradford; daughter, Sunny Dawn Thompson of Piqua; seven grandchildren; nine great-grandchildren; her dog, Zoey; nieces, nephews, other relatives and friends. Graveside Service 11:00 AM Monday at Miami Memorial Park Cemetery, Covington. Condolences may be left for the family at www.stockerfraley.com.